It is not clear exactly when or precisely how, but at some point thousands of years ago, dogs became the world's first domesticated animal. When those descendants of wolves hitched their star to humans, they hitched it hard. Consider one key difference between the pups of wolves and the pups of street dogs, which make up about 85 percent of all the world's dogs. Baby wolves stay for two years with their mother and father and extended family, who teach their offspring the difficult but critical task of taking down wild prey. Feral puppies, by contrast, probably never lay eyes on dad. Their mom typically stops nursing them at around 2 months of age – and then leaves. Lacking the hunting skills of their wolf cousins, these vulnerable and suddenly solo little ones have a couple of options for survival. They must either figure out quickly how to scavenge through trash for people's leftovers or they must be taken in by a human who will provide food. Clive Wynne, an Arizona State University psychologist who researches dog and wolf behavior, got to thinking about this several years ago while visiting the Bahamas. A colleague who studies stray dogs there, William Fielding, mentioned that he thought many puppies did not survive being weaned and abandoned. Wynne knew that was probably true from the few studies on the topic, which have found more than 80 percent of free-roaming dogs do not make it to their first birthday. "And what makes you one of the lucky ones?" Wynne wondered. Fielding's hunch was that the survivors were those whose mothers ditched them near a dogless household of humans who found the pups irresistible. The idea led Wynne to the question at the heart of a study he co-authored, which was published this week in the journal Anthrozoös. "Is it possible that dogs, and possibly other species, are at their cutest just at that point in life when human intervention would make the biggest difference for their survival?" Wynne said during an interview last week. 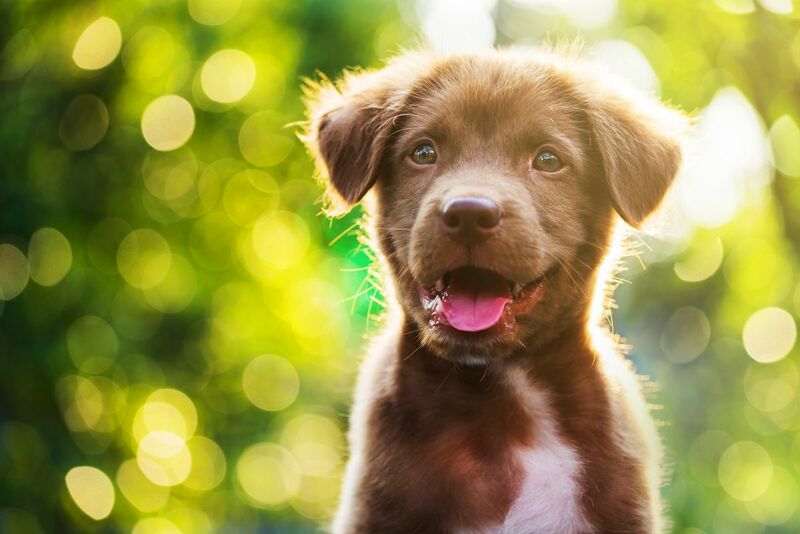 Being viewed as cute would not be a major evolutionary advantage for very young puppies, who would still be reliant on their mothers' milk, he theorized. Being super cute at several months of age also would not pay such great dividends, he said. "If they make it to 6 months, they've made it," Wynne said. "They're strong enough that they can do this very simple form of foraging that dogs do." Wynne theorized the sweet spot – the age at which people deem puppies oh-so-adorable – would be right around weaning. To find out, he and his students gathered sets of photos for three dog breeds of different shapes and sizes: the petite Jack Russell terrier, the pointy-eared white shepherd and the hulking Cane Corso. The photo sets included shots of each kind of dog at various ages ranging from birth to 8 months. The researchers then recruited 51 students at the University of Florida, where Wynne was teaching at the time. Those participants viewed 39 black-and-white photos – 12 to 14 for each breed – on a computer and ranked their cuteness by moving a slider between "not at all attractive" and "very attractive." As Wynne expected, participants gave newborn puppies low scores. The ratings rose steadily until dropping off at around 10 weeks. Sure enough, peak precious came just before or around weaning – at 7.7 weeks for the Jack Russells, 8.3 weeks for the white shepherds and 6.3 weeks for the Cane Corsos. The study acknowledged some limitations. The participants were all college students, which is not the most diverse sample, and they judged only three breeds. Using video, rather than photos, might have produced different results, Wynne said. He hopes the findings will inspire other researchers to do similar cuteness tests with wolves or cats, or compare those with dogs. He is quick to add that the study does not prove dogs evolved to be roly-poly people magnets right when they need a new source of calories. "But it's an interesting new hint toward how people make a difference in the lives of dogs – and make being a dog possible," Wynne said. "How is it possible to be a dog? Part of the reason is that people are really attracted to you at that age when human intervention can be most helpful."